The World Cup truly is one of the most impressive spectacles on the planet, with hundreds of millions of fans glued to their TV sets and millions more flooding into whichever country is hosting the Cup, generating billions of dollars in revenue. 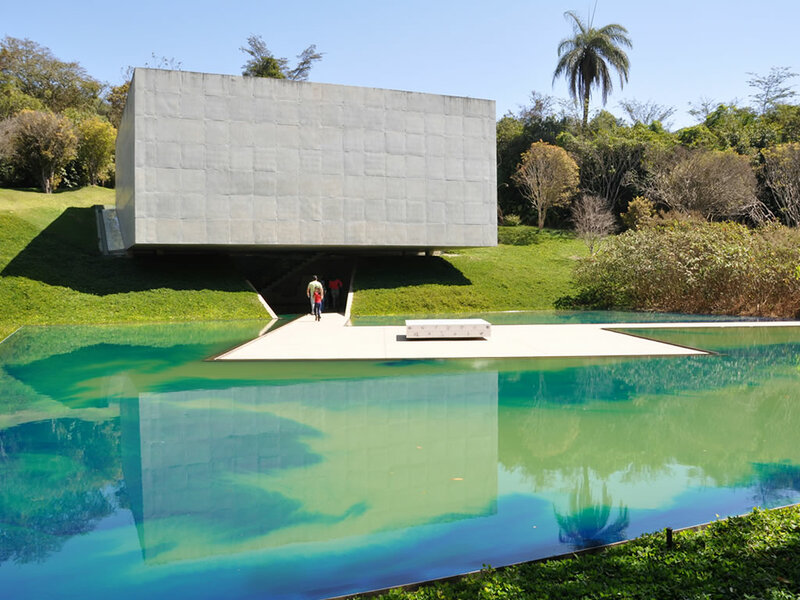 But this year, now that the World Cup is over and life in Brazil is starting to get back to a more normal pace and tone, let's take a look at one of the most truly epic outdoor art galleries in the world, located just in the backyard of Belo Horizonte, the city that played host to 2014's World Cup. Inhotim, as the 'gallery' is known, is about 500,000 acres of outdoor space dedicated to a huge variety of the arts. Yes, you read that right, 500,000 acres - that's nearly 500000 football fields. Truly, awesomely, staggeringly huge, and full of an incredibly eclectic selection of works from around the world. Technically, the art is spaced out throughout botanical gardens that take up a large part of the gallery's acreage, but the scale of the place is still beyond belief, and will take even the most dedicated gallery enthusiast more than a single day to venture through. Officially known as the Centro de Arte Contemporânea Inhotim, it is the pet project of former mining magnate Bernardo Paz, who sold his mining company for over a billion dollars to Chinese investors and has devoted himself to the project. The entire space was designed by a long-time friend of Paz, Roberto Burle Marx, a much-celebrated landscape artist who recently passed away. When it finally opened it's "doors" in late 2006, visitors were stunned by the scope of the project, and by the interesting selection of artists represented. Anish Kapoor, Doug Aitken, Olafur Eliasson and Adriana Varejão are just a few of the recognizable names that can be found adorning exhibits throughout Inhotim. Arguably, the entire space itself is a monumental work by Roberto Marx, as many of the pavilions that dot the landscape are works of art in and of themselves. Plans are underway to turn the gallery into a tourist destination, complete with luxury hotel and spa for those who hope to do some serious relaxing. The space itself is not even complete yet, with new pavilions being constructed all the time, and new exhibits to be added. If you find yourself in Brazil, it will be definitely worth the visit!